Brand Claims: Perfectly blended multi-coloured blush with customised shades to suit any complexion. Formulated with light reflecting and balancing photochromatic pigments that assist to create instant camera ready photos. Pigment is high in Mica content providing intense colour payoff. 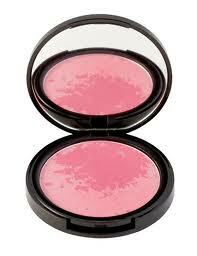 The blush is enriched with Jojoba and Grape seed oil to lock in skin moisture and soothe the skin. 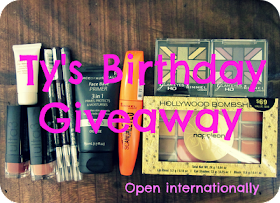 My Opinion: Australis Cosmetics has recently celebrated their 25th anniversary in cosmetic industry. It's all products are 100% curely free. I thought it would be shame if I don't get my paw around it's products by now. After giving a old fashion test on Paparazzi Perfect High Definition blush in "shoot to Thrill" shade, I must say I am very impressed with it as whole..
Let's start with packaging, This blush compact is very attractive and durable. The bright hot pink colour labelling on the top is also very cute and eye-catching. Plus the big size mirror inside the compact is a BONUS for me kind a girls who always on a go..! 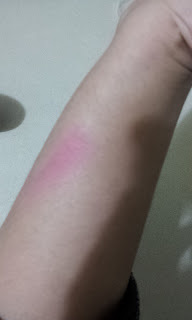 The blush has very interesting texture. The pigmentation goes from light to very dark hot pink shade. I personally found this is very clever idea as I can possibly create so many different looks as per my mood and occasion. Despite this blush contains 2-3 different shades of pink (bright pink, light pink and coral pink), It blends very well together. It doesn't dry and doesn't get flaky like some other powder blushes, it could be cause the formula of this blush contains Jojoba and Grape seed oil. All I can say is it's such a lovely product to find any cons. I would definitely recommend buying this product as there is nothing to lose in $12.95. Don't forget it comes in 3 other shades.